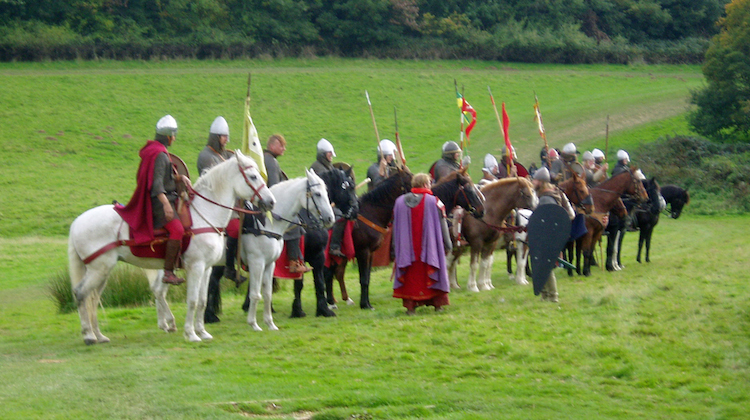 This year marks the 950th anniversary of the Battle of Hastings, one of the most famous events in British history. On 14 October 1066, English and Norman armies each numbering in the thousands clashed at the site now occupied by Battle Abbey in East Sussex, in a fierce struggle for the English crown that ended in the defeat of the home side and the death of the incumbent king, Harold Godwineson. In the weeks immediately following the battle, the victor, Duke William of Normandy, ravaged the southern shires before marching upon London. After securing the city’s submission in late 1066, he was crowned at Westminster Abbey on Christmas Day, ushering in a new dynasty of French-speaking kings and altering England’s destiny forever. 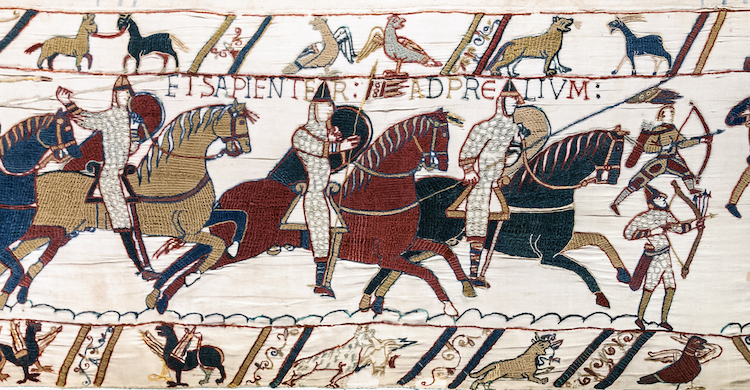 Ask people today what was the most significant event of the Norman Conquest and most will probably name Hastings. But for all the bloodshed and political drama of 1066 – the year of four kings – that was merely the beginning of the story. 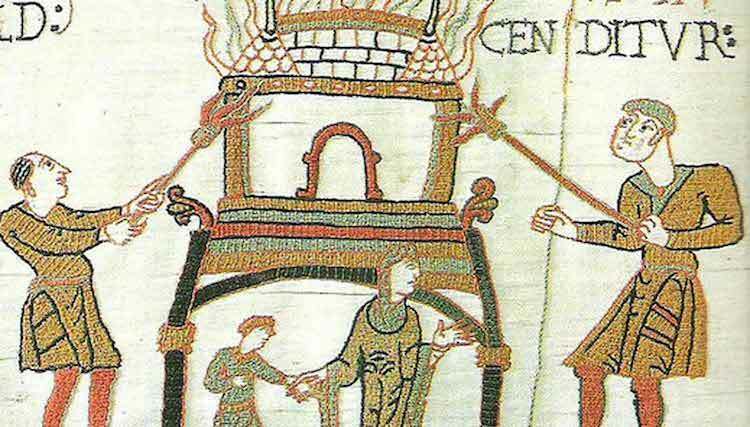 Hastings was only the opening engagement in a long and increasingly bitter series of wars for control of England, as the Normans struggled to consolidate their rule and to fend off not just native rebellions but also a full-scale Viking invasion. One event in particular has arguably done more than any other to define modern perceptions of the Normans and their impact on England. Over the winter of 1069-70, William I’s armies laid waste Yorkshire and the north-east of England in retribution for the great Northumbrian rebellion that had threatened the Normans’ grip on the kingdom and, at least for a while, had placed the whole enterprise of the Conquest in jeopardy. This ruthless scorched-earth operation is known today as the Harrying (or Harrowing) of the North. Entire villages were razed and their inhabitants put to the sword; livestock were slaughtered and stores of food were destroyed. One of the most brutal episodes of the Middle Ages, the campaign continues to rank among the very worst atrocities ever to take place on British soil, and it’s against this backdrop that my latest novel The Harrowing is set. The object of the campaign was twofold. Firstly, William sought to flush out and eliminate the small bands of resistance fighters who were still hiding out in the woods, marshes and hills: men whom the Normans termed silvatici (Latin for “men of the woods”). More importantly, he sought to guarantee that there would not be a repeat of the rebellion in the near future. By destroying the region’s resources so comprehensively, he was ensuring that any future would-be insurgents would lack the means to support themselves. In many ways, the Harrying was not so different from most campaigns of the period: raiding was standard practice in medieval warfare. But it is the sheer scale of the destruction that marks out William’s efforts as especially cold-blooded. We’re told that his armies spread out over more than one hundred miles of territory, as far north even as the River Tyne. According to one twelfth-century chronicler, John of Worcester, food was so scarce in the aftermath that people were reduced to eating not just horses, dogs and cats but also human flesh. While Yorkshire and the north-east bore the brunt of William’s wrath, parts of Lincolnshire, Cheshire, Staffordshire and Shropshire also suffered, and the after-effects were felt more widely still. The refugee crisis that resulted saw survivors fleeing as far south as Evesham Abbey in Worcestershire, where a camp was established by Æthelwig, the abbot, who ensured that food was distributed to the survivors. Sadly the abbey’s chronicle relates that many of those starving folk died not long after their arrival “through eating the food too ravenously”, and that the monks had to bury five or six people every day. The affected regions took a long time to recover. We’re told by another twelfth-century source that no village remained inhabited between York and Durham, and that the countryside remained empty and uncultivated for nine years. In 1086 – sixteen years after the event – one-third of the available land in Yorkshire was still “waste” (vasta in Latin) according to Domesday Book, the great systematic survey commissioned by William. This, then, is the context for The Harrowing, which centres upon five English refugees – the priest, the lady, the maidservant, the warrior and the poet – who are forced to band to together for survival as they flee the destruction of their homeland. Each one has a story to tell; each is hiding a dark secret from his or her past. I’ve wanted to tackle this difficult subject ever since I first began writing about the Conquest, and the novel builds upon what is now more than a decade of accumulated research into a rich and complex period. Within its pages there is much barbarity, certainly, but there is also humanity, and as well as sorrow and suffering there are also reasons for hope. The Harrying of the North was, in many ways, the climax of the entire Conquest. In those few weeks William not only clearly demonstrated the punishment awaiting those who rose against him, but he also snuffed out any lingering hopes the rebels might have had of driving out the invaders. What Hastings had heralded, the Harrying confirmed. The Normans were here to stay. James Aitcheson is a novelist and a graduate of Emmanuel College, Cambridge, where he studied History and became fascinated with late Anglo-Saxon England and the Norman Conquest. The Harrowing, his fourth novel, is available in hardcover from 7 July 2016, published by Heron Books.